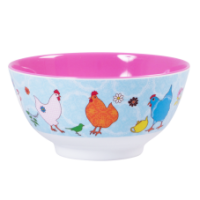 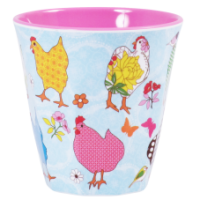 Fun colourful Hen printed melamine cups by Rice DK. 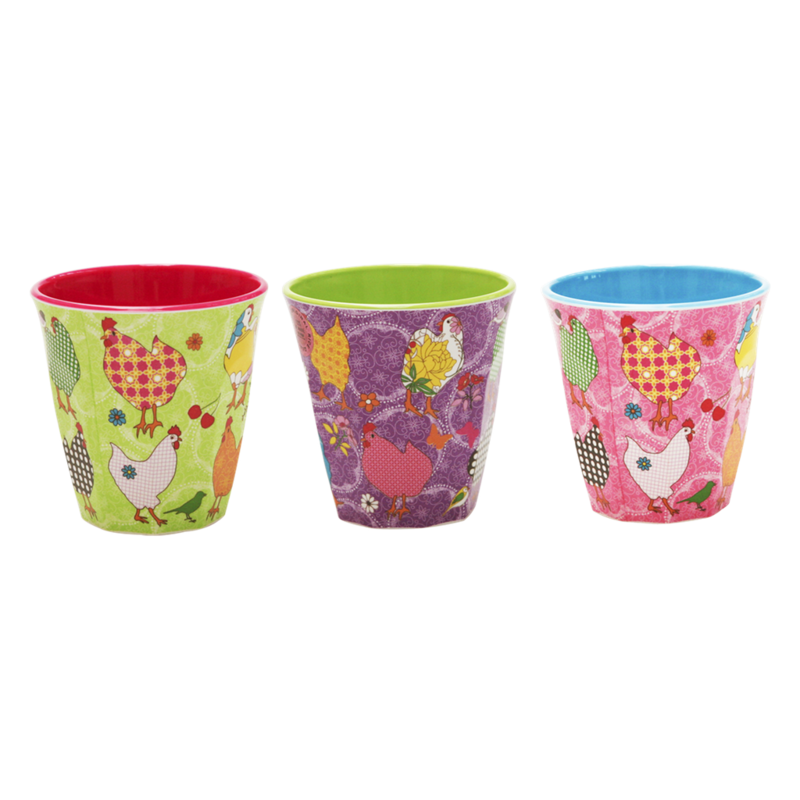 Choose colourful chickens on a green background, pink background or purple. 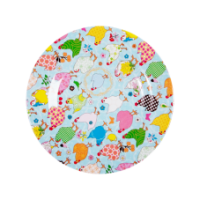 Mix and match with the plain coloured melamine to create your own dinner set.